Richard is the director, founder and host of his much anticipated “Ultimate Man Summit”, as well as the director and founder of Romantic Missions. Richard is very excited about the upcoming Ultimate Man Summit. It is a FREE, live summit you can watch from the comfort of your own home, running from November 23rd to November 28th (hence the reason I published this episode a couple of days early) with some amazing guests ranging from Dr. John Gray (author of “Men are from Mars, Women are from Venus”) to Commando Steve (celebrity fitness coach) – you have to check out the website to see the amazing line up of presenters. You will hear Richard describe the details of the summit as well as how he was able to get such amazing guests for his show by Making ALL the Right Connections. Richard and I met through a Facebook group we both belong to for Podcasters. We met through the founder of that group, Luis Congdon. Luis is also a Connector and loves helping others further their goals by connecting the right people to each other. 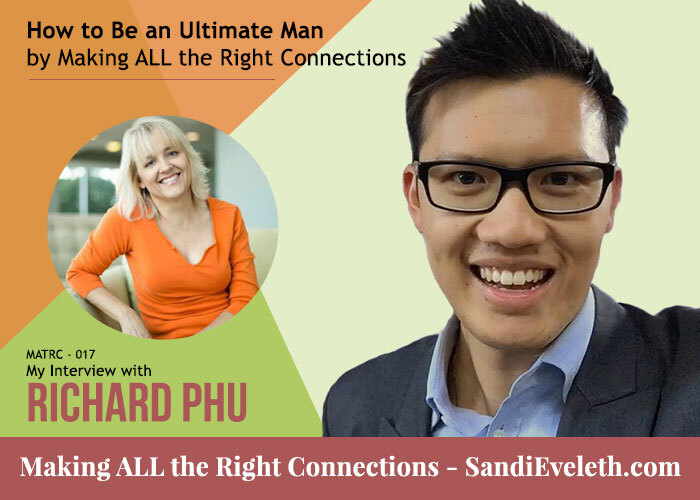 He saw an opportunity for Richard to discuss his upcoming summit by being on the Making ALL the Right Connections podcast, while describing how he made some powerful connections for booking the presenters for his summit. The summit is NOT just for men – if women want to know how men think, he recommends this summit may also be for you. Richard created this summit because he is passionate about helping men define themselves and design their lives in a world where women’s roles are being redefined. Purpose – A man needs to know what he’s here to do or learn how to determine what that is. Wealth – A man needs to learn how to manage his wealth to look after himself and his family. Health – A man must respect his mind and his body, the only two things he can truly control. Relationship – A man needs to build a foundation for himself before he can build on relationships, romantically and otherwise. Richard decided he needed to get at least one big name for the summit to attract other great presenters. He simply figured out who he wanted on his summit, made a list of those top connections, went to their websites, and simply contacted them through their contact information. Richard was able to get the speakers to give away a lot of free digital products for the attendees. Some of the important connections he made during the summit were from mentors that he has worked with and cultivated a relationship with over time. One of the ways he thinks he was able to land some high level connections was by acknowledging those connections’ accomplishments. He did not give them the full detail of why he was contacting them. He would give them a brief synopsis along with the above tip, then if they were interested, he would send a follow up email with the details. When he signed up the speakers, he had them agree that they would also promote the summit to their audiences on social media. Ultimate Man Summit – sign up NOW for your free ticket! Great tips and valuable information shared on this podcast for anyone wanting to expand their network and reach. 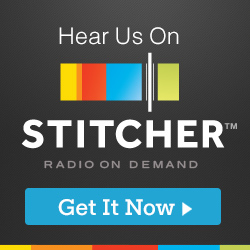 Great Podcast, with awesome guests! I started really focusing on networking earlier this year; it's amazing and very addictive. I love that there's a podcast out there all about making and strengthening connections! Thanks so much for providing this! 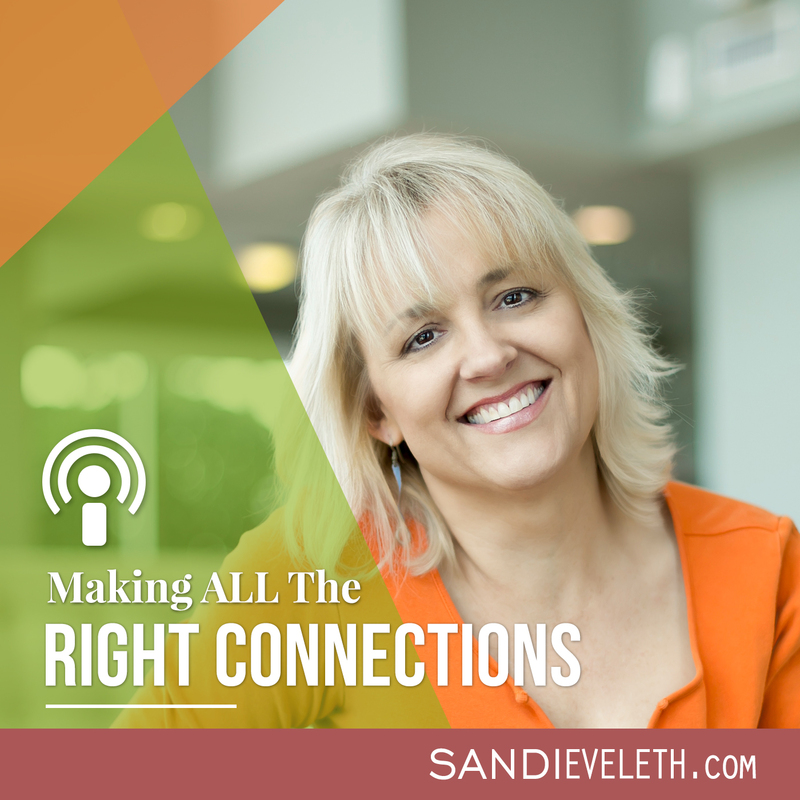 Sandi’s Podcast is enjoyable and inspiring! The interview’s are great!! Be sure to connect with her. I just listened to MATRC Episode 11 with Jessie Stehlik. This is interesting, the topic is about connection and its importance. And I agree that one of the ways to increase your profit is having the right connection with people :) Great content!